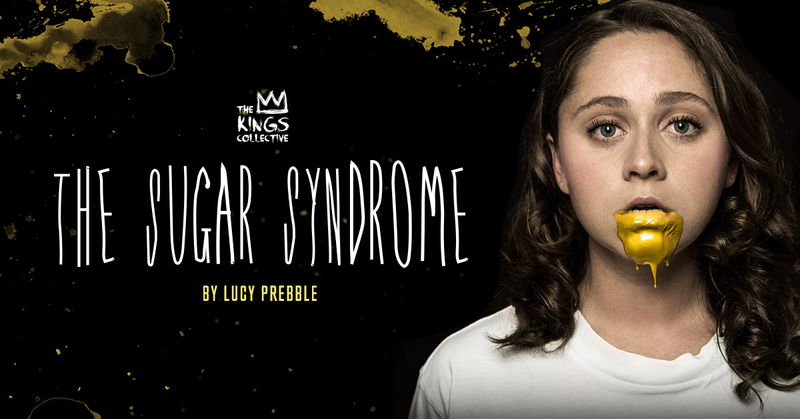 The Kings Collective presents THE SUGAR SYNDROME by Lucy Prebble, at a new venue, District01 - 7 Randle Lane, Central Railway. 17 - 30 June. 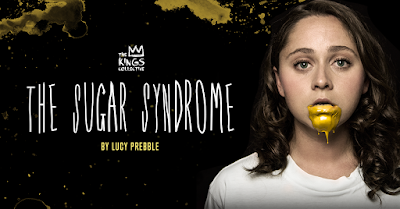 THE SUGAR SYNDROME (2003) is Lucy Prebble's first play. In Sydney, we have seen, the brilliantly conceived play, THE EFFECT (2012), in a relatively botched production at the Sydney Theatre Company (STC) - I had seen the original production at the National Theatre - and before that, a production of the multi-award winning play, ENRON (2009) at the enterprising and surprising New Theatre in Newtown (since the play dealt with the fraudulent activities of Investment Companies/Corporations, one can, perhaps, understand why that play never got onto the corporately sponsored STC stages - keeping your audience ignorant and your sponsors happy is sometimes important . THE KINGS COLLECTIVE, are a young group of performers, doing it for themselves - not waiting to be discovered - and last year presented a season of three plays at the Tap Gallery: OUT OF GAS AND LOVERS LEAP, by Mark St Germain; THIS IS OUR YOUTH by Kenneth Lonergan and GRUESOME PLAYGROUND INJURIES by Rajiv Joseph, to good critical acclaim. THE SUGAR SYNDROME is their first production of 2015, and has the same quality of achievement. The Collective have been astute in finding good plays that are, generally, age-appropriate for the performers. THE SUGAR SYNDROME concerns, principally, a young woman, Dani (Cecilia Peters), coping in the digital age with the need for human contact. After returning home from treatment for an eating disorder, Dani begins to cope with her family, specifically, her mother, Jan (Lucy Miller), in the throes of a dysfunctional marriage; an obsessive young hormonal boy/man, Lewis (Nicholas Denton), she has met on the internet and consequently 'dated', who has become infatuated with her; and Tim (Michael Abercromby) who she, too, has befriended over the internet, meets and discovers is, like herself, but differently, suffering a compulsive disorder of a socially unacceptable kind. The text by Ms Prebble is contemporary and astute and trimmed of fat, getting to its dramatic concerns with clarity of focus in a no-holds barred kind of way. The issues are important but not dealt with in any melodramatic way, rather with a freshness of a non-judgemental bravura. That this play won the George Devine Award for 2004, the TMA Award for Best New Play, and the 2004 Critics' Award for Most Promising Playwright, and nominated for an Olivier Award comes as no surprise. This is a superior play text. One wonders, or not, considering the 'unspoken' curating practices of the Sydney Theatre Company and Belvoir St Theatre over the recent past years, why it has taken so long to get an exposure in Sydney. The four performances are very, very good, especially the central pair given by Ms Peters and Mr Abercromby. Ms Peters has a focused energy and preparedness to tackle the negative facets of her character with some brio, keeping the audience on a tightrope of empathetic charity: for or not. While Mr Abercromby draws, subtly, a characterisation with insight into a man fraught with an illness and a world of hostile fear and judgement. Too, he manages to have us consider the dilemma of individuals like Tim in a more generous and temperate way. It is, of course, the insight of Ms Prebble that they elucidate. Jessica Arthur, the Director has utilised this 'pop-up' theatre space and all its awkwardnesses well. The space has a wide, shallow dimension (with support column in the middle of it!) However, the visual Design of the setting has been extrapolated by Madeline Hoy and Alexander Berlage with some contemporary verve - the room has been painted as a white box with light boxes hung on the wall capable of being filled with different 'temperatures' of colour, creating a tidy, modern feel to the look of the show. The stage Lighting by Mr Berlage is certainly an achievement considering the difficulties of the space. Certainly, Ms Arthur has, generally, staged the play in this difficult space well, and drawn from all the actors, good performances. However, I do believe the text has comic opportunities that are often glibly ignored in the pacing of the tempos directed. 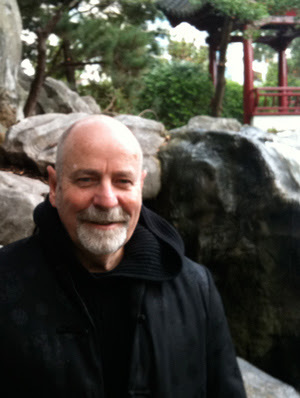 There are, too, some Directorial indulgences in the production: danced interludes, and mimed song - probably remnants from ETUDE rehearsal exercises - actors crawling slowly across the floors for position, or becoming a mimed sculptural 'vivant' expressing, metaphorically, the pain of the character (?) centre stage, during the action of spoken scenes, that intrude on the action of the play and draw attention to themselves rather than adding to the development of Ms Prebble's writing. The space, because of its width, does not permit the audience to perceive the dance 'stuff' on the whole, as it is being performed in a 'Cinerama' (very wide) dimension, and we are all sat too close to capture it all - we have to, literally, swivel our whole body to grasp the contributions of all across the wide distribution and it is easier just to ignore the Directorial picture. Add the solution of putting actors on the floor for long and important scenes, and because of the shallowly raked seating, most of the audience have an impaired view of the action. Frustrating. More thinking, for better solutions. THE SUGAR SYNDROME is a very good play with performances of some concentrated skill, and is another achievement by THE KINGS COLLECTIVE of some interest and standard. I recommend it very much. It was terrific (heartening), by the way, to be in an audience where the average age demographic, was in the late twenties. Build it and they will come, it seems.